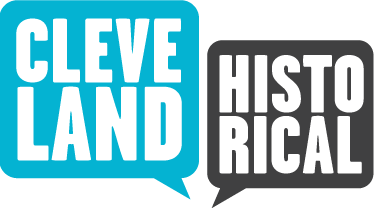 This tour offers a sampling of stories that collectively tell a broader story about African American life in Cleveland in the twentieth century. Following the Great Migration in the 1910s and 1920s, Cleveland's black population soared. Hardening racism, bolstered by discriminatory practices by landlords, real estate brokers, and banks, largely confined African Americans to the Cedar-Central neighborhood on Cleveland's near east side. In a short time Cedar-Central found itself compared to Harlem and Chicago's South Side, in no small way due to its jazz and blues clubs. As Cedar-Central became more crowded, city leaders seized upon slum clearance and public housing as solutions in the 1930s. World War II launched the Second Great Migration, in which waves of southern blacks and Appalachian whites flocked to take up industrial work. Although black residence spread over a considerably larger swath of the east side, discrimination ensured that the spread was fairly minimal and that recognized boundaries were observed. When much of the near east side was slated for urban renewal in the 1950s, wholesale demolition forced tens of thousands of African Americans to seek homes elsewhere. Many flooded into the Hough and Glenville neighborhoods to the north and east. As overcrowding replicated problems seen earlier in Cedar-Central, these outer neighborhoods struggled to remain vital. Some neighborhoods sought alternatives to redevelopment by pursuing conservation of homes or even adopting new names. Until the mid-1950s African Americans seldom managed to obtain homes outside the city limits--or west of the Cuyahoga River that divides Cleveland into eastern and western halves. Glenville, Wade Park, and Mt. Pleasant offered the best available housing in these years. The first suburban breakthrough occurred in the late 1950s in Ludlow on the edge of tony Shaker Heights. Through concerted action, Ludlow became a national model for orderly integration. Unfortunately, elsewhere racial change continued induce panic, a problem greatly compounded by "blockbusters" who sowed seeds of fear of declining property values. White flight convulsed East Cleveland in the 1960s. Even though Cleveland Heights and Shaker Heights citizens managed to use a variety of creative measures to integrate peacefully, even they were not immune to occasional ugly incidents. Despite efforts in the 1960s-70s to extend fair housing opportunities so that no community would either bear the brunt of rapid turnover or remain exclusionary, until recent years a bow shape on Cleveland's racial map reflected how concentrated its black population remained. An experiment with busing from the late 1970s to mid-1990s attempted to achieve integrated schools to overcome the legacy of segregation by custom and discriminatory housing policy. Applicable only to the deeply divided city itself, busing accelerated white flight on the city's west side and allowed many suburbs to serve as white havens.